A memorial service to honor the life of Mrs. Sarah Harrell Fredieu will be at 3 p.m. Saturday, Jan. 5 officiated by Bro. Johnny Dunn at Blanchard-St. Denis Funeral Home with a visitation from 2 p.m. until service time. 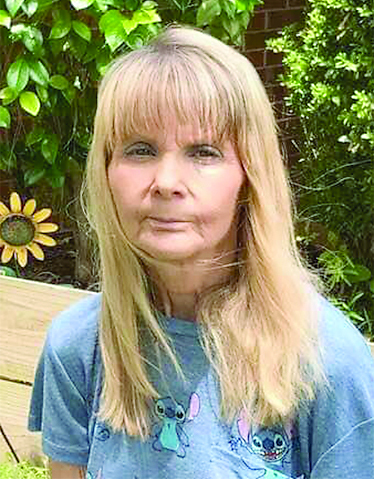 Sarah H. Fredieu, 64, and a lifelong resident of Natchitoches passed away Thursday, Dec. 27, 2018, in her home. She was born Dec. 10, 1954, to Joseph Benson Harrell Sr. and Beatrice Allen Harrell in Natchitoches. On June 1, 1972, she married the love of her life, Roger Floyd Fredieu, and together they created a beautiful, loving life. She worked at home taking care of her own family as well as so many others. Mom will forever be remembered and cherished as someone who truly loved and appreciated her entire family. She was a loving wife, mother and Meme who loved all of her grandchildren as well as great-grandchildren more than life itself. She was a beloved sister, aunt and a true and loyal friend to many. She was preceded in death by her parents; grandfather, Emile Ackel; grandmother, Ollie Bell Ackel; and father-in-law, Floyd Fredieu. Those left to cherish her memory include her husband of 46 years, Roger F. Fredieu of Natchitoches; daughters, Tammy Fredieu Possoit and husband Jerry, Monica Ellen Fredieu, Brittany Fredieu Britain and husband Bubba; sons, Roger Brandon Fredieu and Jeremy Christopher Fredieu and wife Kristy, all of Natchitoches; grandchildren, Justin Ray Fredieu and wife Brandi, Courtney Denee’ Possoit and fiance’ Kaleb Poche, Mason Neal Britain, Aubrey Kaelyn Britain, Natalie Grace Fredieu, Zachary Keith Fredieu, Cheyenne Martin and husband Justin, Madison Burks and Carter Burks; great-grandchildren, Baylen Ray Fredieu, Britain Kae Fredieu, and Kaiden Layne Poche; sisters, Jo Ann Harrell Shaw and husband James, Brenda Harrell Pratt and husband Allan; and brother, Joe “Dooley” Harrell Jr. and wife Sherry; as well as numerous nieces and nephews; a host of friends; and her neighbors who were special friends, Johnny and Sandra Dunn.